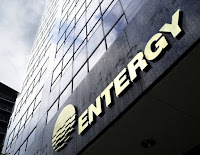 Safetymatters: Nuclear safety culture information, analysis and management: Is Entergy’s Nuclear Safety Culture Hurting the Company or the Industry? The NRC (and INPO) continue to exclude competence, integrity, compliance, and transparency from their lists of safety culture traits. The industry continues to perform in such a way as to demonstrate shortfalls in competence, integrity, compliance, and transparency and thereby erode public trust and confidence, not only in the industry and its overseers, but also in the technology. The comment by Myouri YashJune 8, 2016 at 3:03 AM looks like it could be a user mistake or an attempt at self-promotion. Spam disguised as commentary shows up on an irregular basis. I am notified when comments are posted and try to delete such spam ASAP. The alternative is to hold draft comments off-line for approval but that delays the availability of useful contributions. Observation: Few people would be surprised to find that the lack of competence, integrity, compliance, and transparency that came to light from the Flint, Michigan lead contamination episodes is common to other local, state, and federal programs. Observation: Today’s scandalous fiasco is not likely to be an island of incompetence and lack of integrity in a sea of excellence and integrity.